I think I'd make a good "lady who lunches". First of all, I like getting dressed up for anything, even if it's just a simple lunch. Second of all, I like to go out for lunch at fancy restaurants (well, any restaurant really!) and I love to eat. (Although I am not sure how much actual eating ladies who lunch do. I think they may prefer to drink their lunches!) Last of all, I have observed that many of the pieces that I am adding to my wardrobe are starting to veer on the more "mature" or shall I say "classic" side lately. Take, for example, this "vintage" J. Crew jacket that I picked up on eBay for about $21. It's classic, but in a fun color. 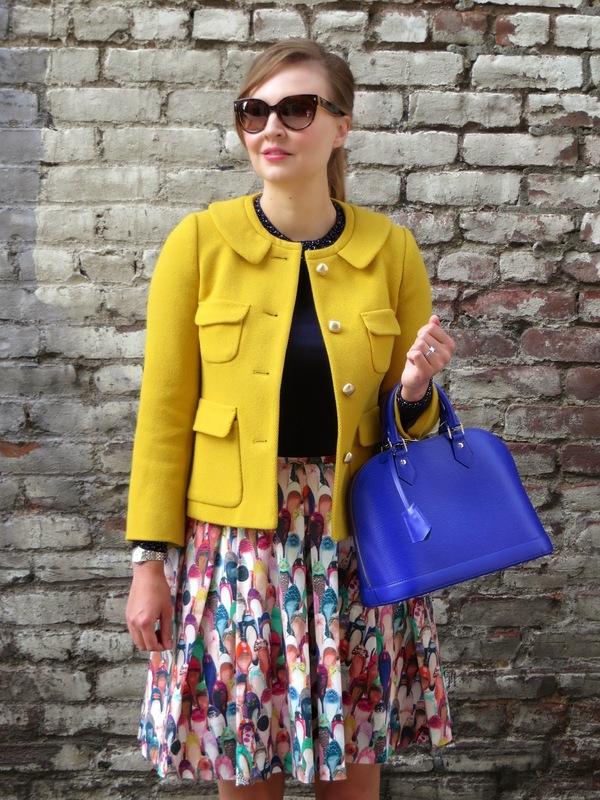 I think that's the key for me: picking classic pieces, but finding unconventional and quirky ways to make them my own, like pairing the jacket with my skirt featuring a plethora of shoes. So while unfortunately I don't have the unlimited bank account that would be essential for spending my days shopping and eating out without working like a true lady who lunches, one can dream about it and shop on eBay! 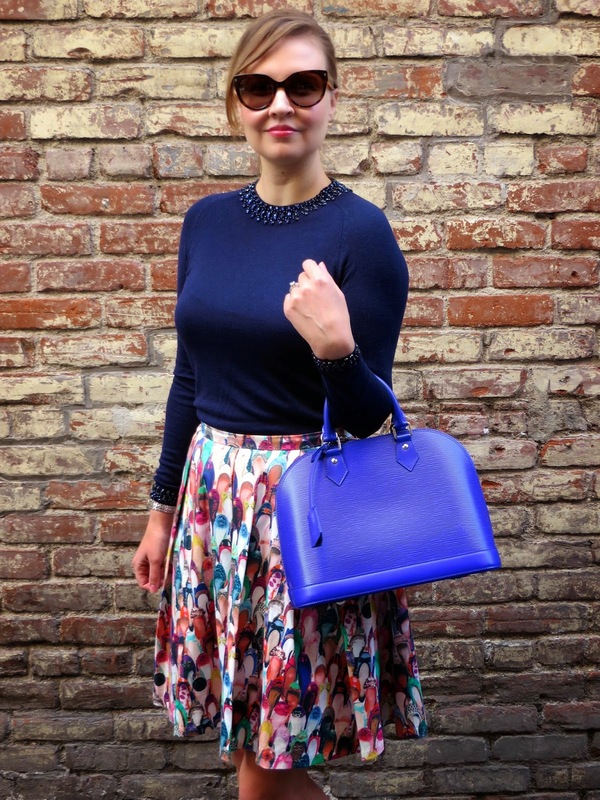 Bag: LV Alma in "Figue"
Ladies who lunch or not, this outfit is happy, bright, lady-like and beautiful. 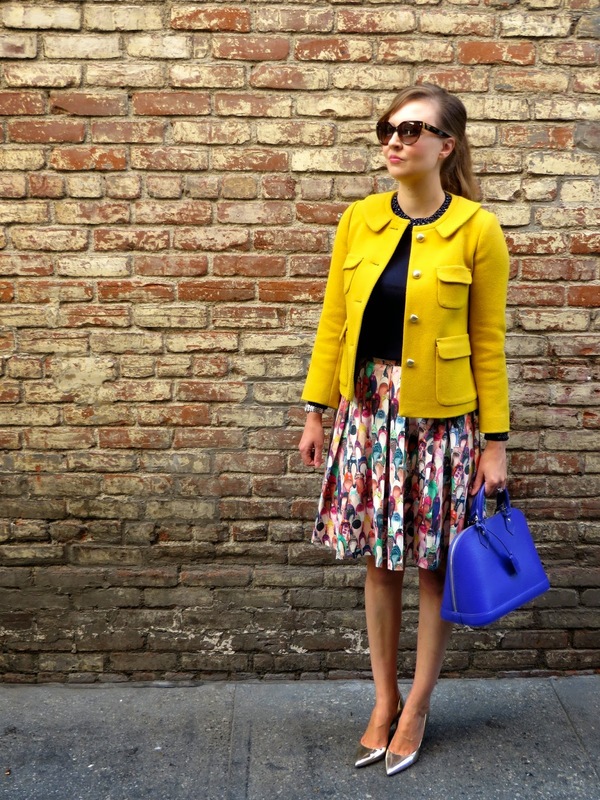 I adore the mustard blazer and what a beautiful floral skirt!